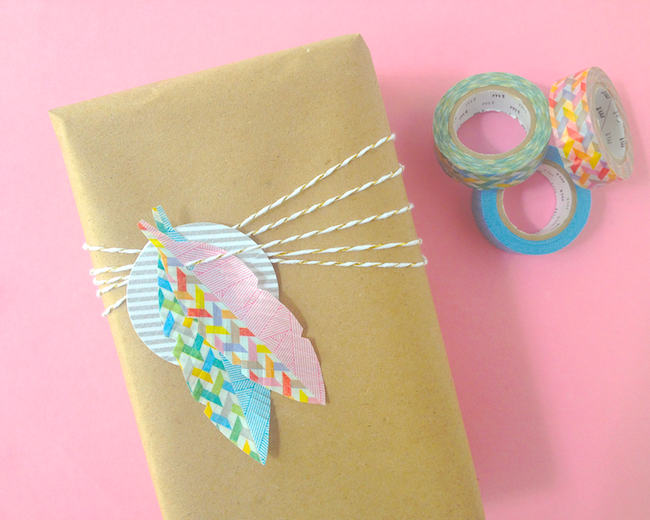 I received lots of positive feedback on the packaging for this year's Surprise Packs, so I thought I'd share how to make your own washi tape feather tags. 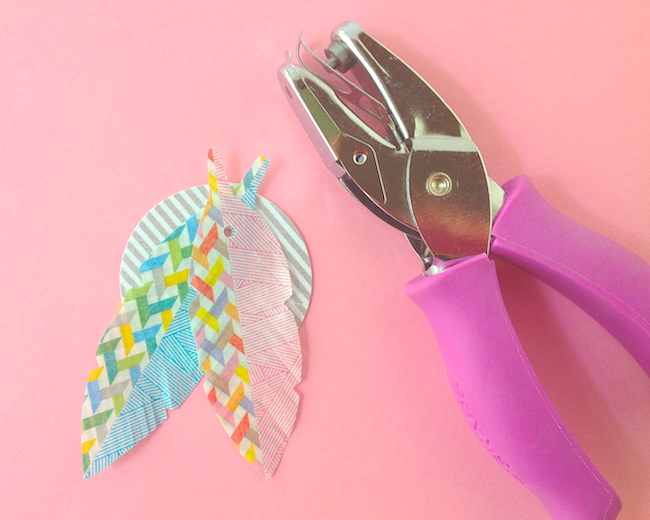 This is pretty simple but creates a unique topper that can be used for any occasion or season. 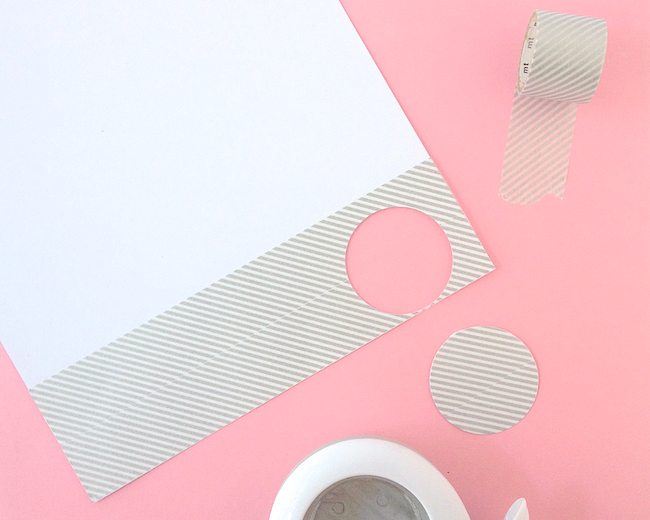 Start by punching or cutting a 2-inch (5cm) circle out of washi tape covered card stock. 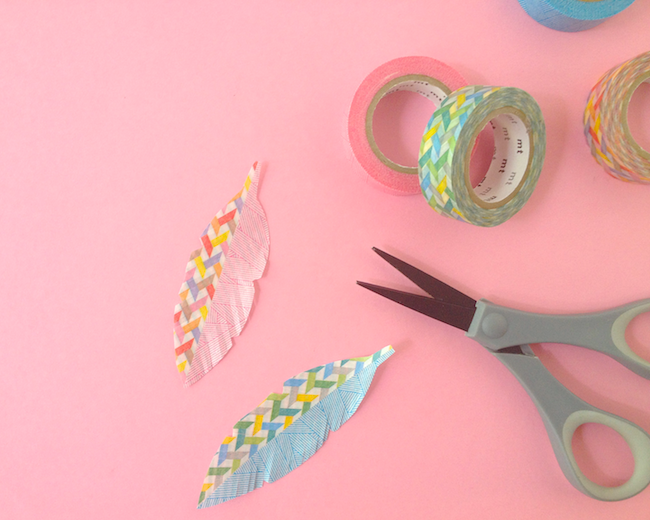 Craft 2 feathers out of washi tape. Refer to this post for instructions. Align the feathers and circle tag in the desired formation. Punch through all three with a small hole punch and then remove carefully from the hole punch. Write any desired message on the back of the circle. 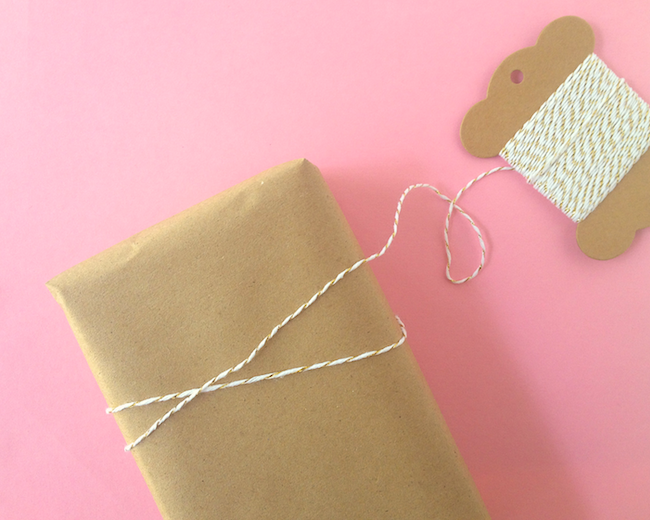 Holding one end at the centre back of the package, wrap twine around in an X-formation. After creating two overlapping Xs with twine, run a line of twine right through the centre. 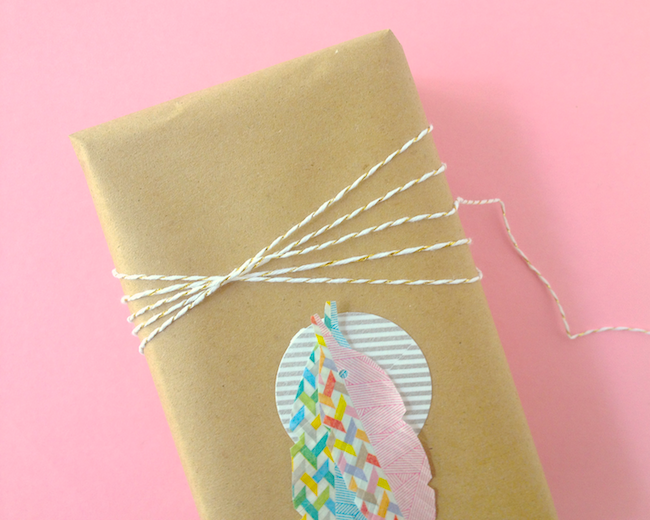 Cut the end, allowing enough extra twine to extend to the back of your package and to tie. 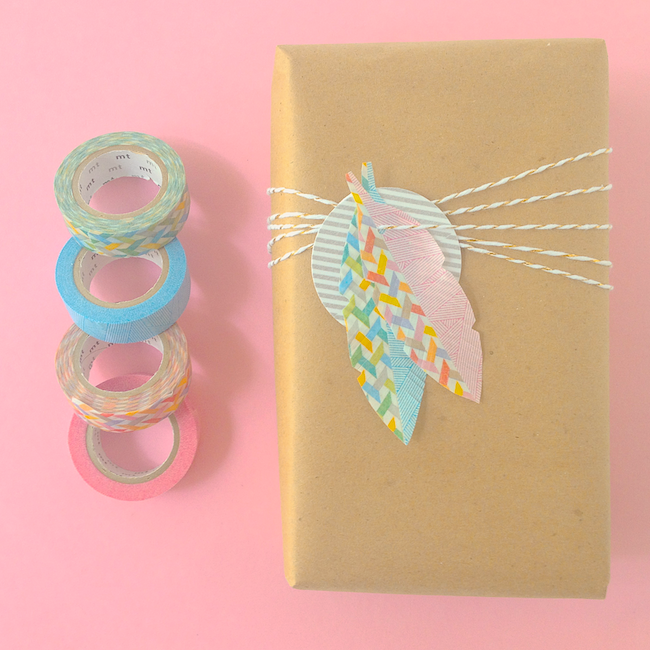 String the tag and feathers onto the twine. Arrange into the desired position. Tie the two ends of twine together on back of package. Trim any loose ends. I love this layered look - I think it would be quite lovely with other shapes too. What do you think? 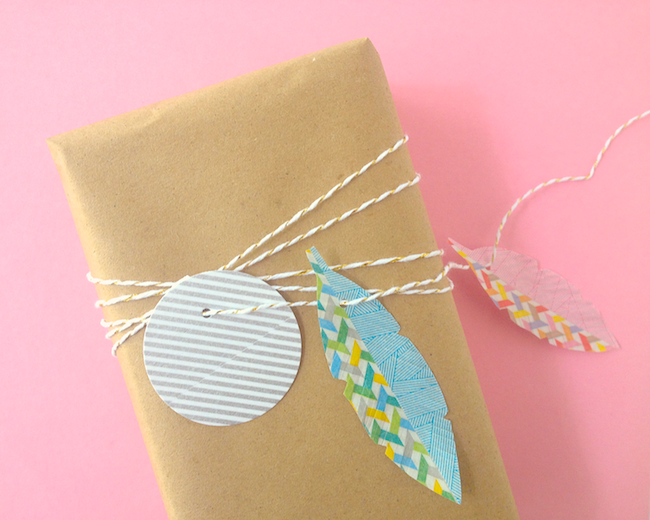 Will you try making these feather tags the next time you wrap a gift? So clever and completely adorable!